Hyatt will add the first London property under its Unbound Collection later this year, with the opening of the Great Scotland Yard Hotel. Plans for a hotel on the site of the former Metropolitan Police HQ were originally announced way back in 2012, with the then Morgan Hotels Group (now part of SBE Entertainment Group) planning to open the Hudson London. This was superceded by an announcement in 2015 that German hotel group Steigenberger would operate the hotel, before Hyatt confirmed it would operate the property last year. 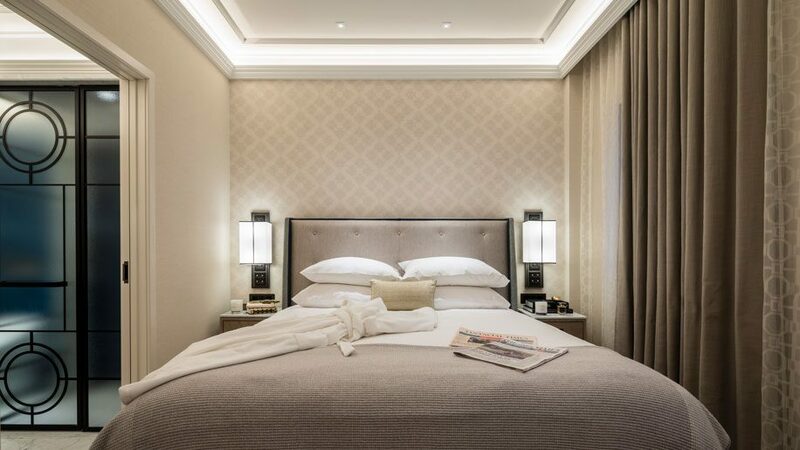 Galliard Group has now completed a three and a half year construction project, which has transformed the building into a 153-room five-star hotel. Features include design references to the building’s police and military past, including “secret doors, hidden rooms, shields, emblems and historic details etched into glass and metalwork”. The Edwardian façade has been restored, with the addition of a feature clock, gas-style copper lanterns and plant boxes. 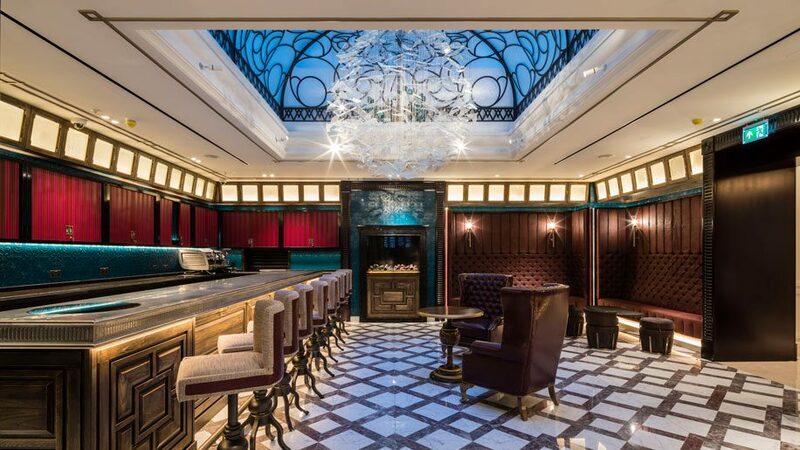 The hotel will offer a signature restaurant, library, gym, whiskey bar / clubroom, cocktail bar, palm court style lounge, and a 120-capacity ballroom. The development comprises buildings 1-5 Great Scotland Yard, with the main Edwardian building having been extended with two new basement levels and a further two storeys above the original roof level, and the adjoining Grade II listed townhouse incorporated into the hotel as “a magnificent VIP-suite for visiting business tycoons, celebrities, musicians and heads of state”. The site served as the original headquarters of the Metropolitan Police Force between 1829 and 1891, with investigations into the Jack the Ripper crimes being carried out at the location. More recently it served as the Ministry of Defence Library until 2004. 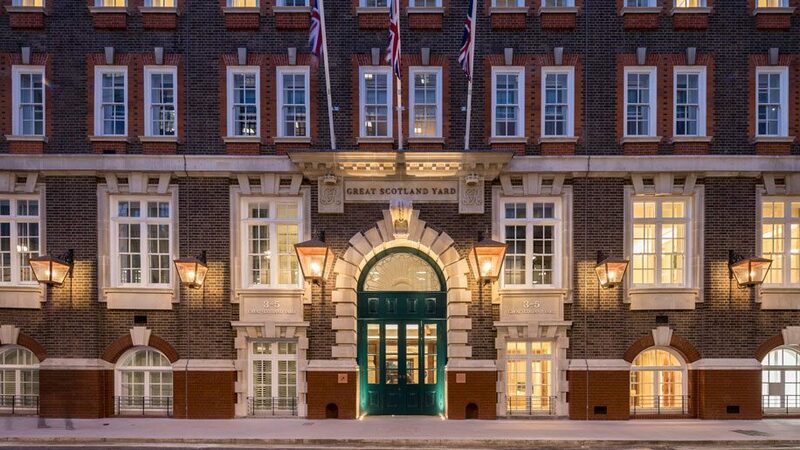 The Great Scotland Yard Hotel will be the first UK property under Hyatt’s Unbound Collection, which launched in 2016 and currently has around 20 hotels open worldwide. In November Hyatt announced plans to add Hotel Sofia Barcelona to the collection.